Various enterprises are becoming more and more interested in participating in the 48th Fashion Fairs STYL and KABO that will be held at the Brno Exhibition Centre from Saturday, 27 August, to Monday, 29 August 2016. Halls P and F are filling up quickly just after the first registration deadline. Consumers continue to spend their disposable incomes on style and their expenses on clothes and footwear keep growing. In this optimistic atmosphere, the international fashion fairs STYL and KABO flourish since they are the biggest event and at the same time the only B2B presentation of the fashion industry for Czech and Slovak markets. The first registration deadline made the fair organizers very happy as already 168 exhibitors registered, i.e. 18% more than at the same date last year. There were 102 companies registered for the STYL fair and 66 for the KABO fair. Both groups include many exhibitors from abroad and some interesting newcomers as well. The STYL will welcome traditional and major exhibitors, e.g. Anita Moravia, Doppler CZ, H & D, Jihočeská textilní, Jopess fashion, Modela, Moděva, Pleas, Pletex, Texart, Veltex JG or V.Style as well as major foreign companies, such as a German companies Casamoda Heinrich Katt, Hegler Fashion and Modeagentur Gerhart Helgert. The company Julia Hock Textilvertrieb from Germany will present their goods (Calao swimwear)for the first time, there will also be some interesting Czech newcomers, such as Evolution Group CZ s.r.o. – Czech producer of original crystal jewellery and bijou with Swarowski elements in silver/rhodium, or Italian fashion supplied by the Czech importer STEFI. There are also some comebacks, such as Deny – Zdeňka Kuřitková, a Czech producer of original fashion knitwear. The KABO fair will again welcome the evergreens of the footwear market too, such as Ara Shoes, Caprice, Gabor, Geneze, Lanson Praha, JG Shoes, Leggero, Protetika, Rieker, Salamander, Snaha, V + J obuv, Wortmann and others. 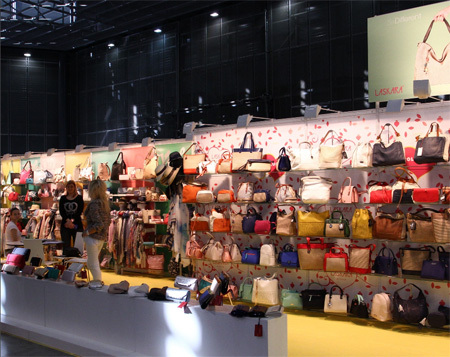 Handbag exhibitors feature big names such as Arteddy, Sendi Design or Unidax, among others. The newcomers include Starlight Promotion CZ (handbags and purses from Italy) or a Czech company pediped CZ – representing a world-renowned brand of healthy and stylish children’s footwear for the Czech Republic. The STYL and KABO fairs held in February 2016 saw 284 exhibiting companies from 12 countries and 632 represented brands. Almost 5,500 registered professionals came to check out the goods in exhibition. If you want to join the ranks of August fairs participants, do not hesitate to register. The second registration deadline is 19 May 2016 and it includes a 10% discount from the basic exhibition area price.